Those monarchs travel thousands of kilometres, many from summer breeding grounds in Canada that once stretched from southern Saskatchewan to the Maritimes. As a child growing up in southwestern Ontario, I collected insects. Monarchs were abundant everywhere. The mass exodus through Point Pelee at summer's end was mesmerizing. That's changed. Since the 1990s, the eastern monarch population has declined by about 90 per cent. More than a billion monarchs once made the journey to Mexico. In winter 2013, that dropped to 35 million. Modest increases since then have largely been erased. An intense late-winter storm wiped out more than six million monarchs last March and unfavourable weather conditions during critical breeding periods caused a 27 per cent reduction over the past year. Much of the overall decline has been pinned on the eradication of milkweed through widespread use of the herbicide glyphosate (known as Roundup) in the U.S. Midwest and southern Canada. Milkweed is a host plant and the only food source for monarch caterpillars. 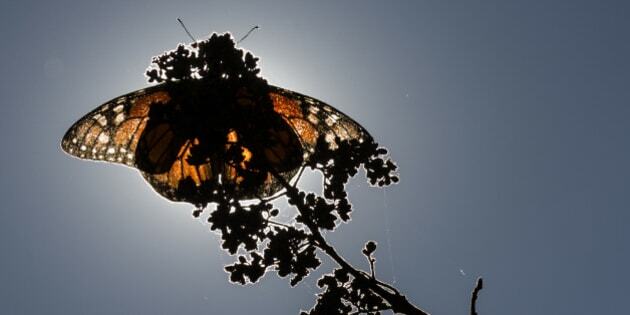 Extreme weather conditions -- including extended droughts during critical breeding periods and severe winter storms in Mexico that topple trees and cause mudslides in forests where monarchs overwinter -- have exacerbated the decline. In 2016, scientists estimated the monarch population has up to a 57 per cent chance of "quasi-extinction" over the next 20 years. That means the population could hit levels so low recovery is impossible. Others suggest the migration into Canada could end. In November, scientists overseeing at-risk species in Canada said the government should list the monarch butterfly population as endangered. So, what's happening? The minister's own assessment is telling. In her article, she cites only a fledgling citizen science project as the most notable progress here since leaders of Canada, the U.S. and Mexico began seriously contemplating action in 2014. I would add dozens of great local programs, like the David Suzuki Foundation's Homegrown National Park Project and Got Milkweed campaign, which have inspired people to plant thousands of milkweed and other pollinator-friendly wildflowers. Municipalities like the City of Markham have taken the lead, committing to become more monarch-friendly by planting milkweed on public lands. Exciting new programs like the Butterflyway Project will spur neighbourhood-scale butterfly- and bee-friendly corridors in five cities this year. But municipal and citizen-led programs are not enough. Pre-eminent monarch advocate Chip Taylor estimates that more than a billion milkweed will need to be planted throughout the range if the population is to recover. That would require unprecedented co-operation and collaboration by agencies, groups and scientists throughout the monarch's 5,000-kilometre migratory route, especially in the northern end of the range where 44 per cent of the population originates, according to University of Guelph scientists. What's missing is action from Canada's government. The good news is that the person with the most power to influence the plight of this imperilled species is Minister McKenna. Whether Canada legally protects monarchs, as recommended in November by federal scientists, is up to her. Whether funds flow to monarch and pollinator research and conservation programs is largely her ministry's responsibility. That's why her newfound love of monarchs renews my hope. If Canada is serious about saving the monarchs, the federal government needs to start now.